Please help us help Stephen. 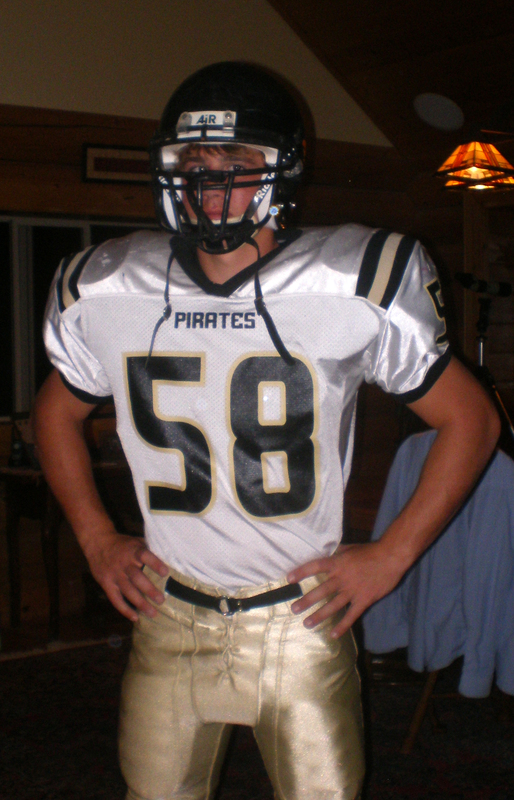 Our son Stephen was a good student, all-conference in football his senior year, and held several state records in archery. He had strong work ethics in every area of his life. He was planning to attend college after graduation when his world was turned upside-down. 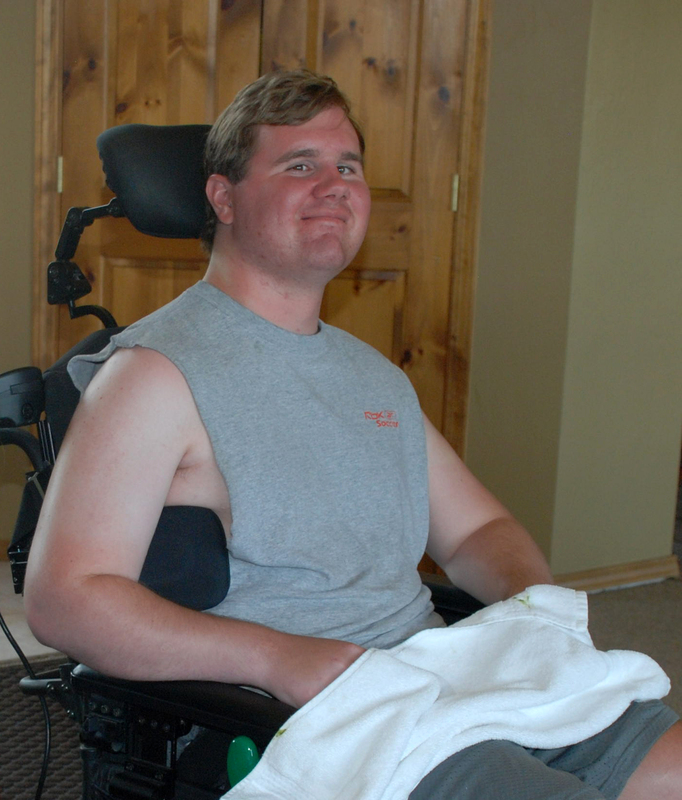 On February 2, 2010, Stephen suffered a snowboarding accident that left him with a severe traumatic brain injury, forever changing his plans and his family’s priorities. After three weeks in a coma and six months in the hospital, Stephen returned home unable to speak or eat by mouth. With God’s help, he has made slow but steady improvement. With the help of his family, he pursues therapy daily. He is now able to eat and speak but is still confined to a wheelchair and requires 24 hour assistance for all his basic needs. Although visually handicapped and able to use little more than his right arm, Stephen enjoys as many indoor and outdoor activities as possible. 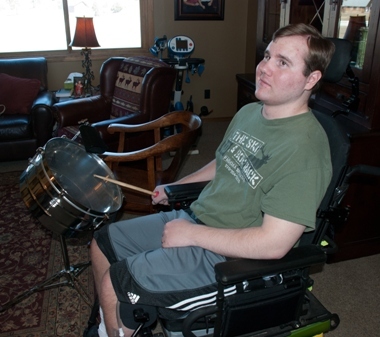 Before the accident, Stephen was a very accomplished drummer and today we use a drum in his therapy. He has a great attitude, optimism, and sense of humor. We have found that one of our greatest challenges is taking Stephen out of town, even just to see his grandparents and other relatives. The incredible amount of equipment required for Stephen’s care has kept us mostly confined to our hometown. Our hope in reaching out to you is to raise enough money for a handicap-accessible RV that would allow us to take Stephen places in comfort. We would be able to make sure that he could change positions along the way and he could sleep in the RV with all of his equipment when we reach our destination. To help with the financial burden of purchasing an RV, a fundraising campaign in Stephen’s honor has been established with HelpHOPELive, a trusted nonprofit organization that has been providing community-based fundraising guidance to patients and their families for more than 30 years. All donations are tax-deductible, are held by HelpHOPELive in the Midwest/West Traumatic Brain Injury Fund, and are administered by HelpHOPELive for injury-related expenses only. Please consider a contribution. Continuing to pray for healing and a full recovery. We love you Stephen!